SRINAGAR, Nov 6: An Army deserter was among two Hizbul Mujahideen militants killed in a gunfight with the security forces in Zainapora area of South Kashmir’s Shopian district today. Army and Special Operation Group of Jammu and Kashmir Police cordoned off Safnagri area of Zainapora in Shopian district of South Kashmir this morning after specific input about presence of militant in the area. As the search operation was going on, hiding militants fired on the search party triggering an encounter in which militants were killed. They have been identified as an Army deserter Mohammad Idrees Sultan alias ‘Chota Abrar’ son of Mohammad Sultan from Safnagri and Amir Hussain Rather alias Abu Sobaan son of Mohammad Amin Rather from Awneera, Shopian. Idress was a former Army soldier who had deserted his JAKLI unit in Bihar in April this year and joined Hizbul Mujahideen. Incriminating materials including arms and ammunition were recovered from the site of encounter. Police have registered a case and initiated investigation in the instant matter. The duo was affiliated with Hizbul-Mujahideen and were involved in attacks on security forces establishments in the area. Meanwhile, thousands of people attended the funeral prayers of the slain militants and the duo were later laid to rest at their respective native villages. And security forces today fired pellets after they were pelted stones in South Kashmir’s Kulgam district, leaving two persons injured. Protesters hurled stones at a security force vehicle in Qaimoh town of the district this evening. Security personnel on board responded by firing pellets at the protesters, resulting into multiple injuries to two of them. The injured were identified as Fayaz Ahmad Tantray from Tolinowpora and Imtiyaz Ahmad Dar from Ghath. Both the injured were shifted to a local hospital where from Imtiyaz Ahmad, who had suffered pellet injury in his left eye, was shifted to SMHS hospital in Srinagar. Security forces today launched a cordon and search operation in Kuta Sathri village of Sumlar in North Kashmir’s Bandipora district. 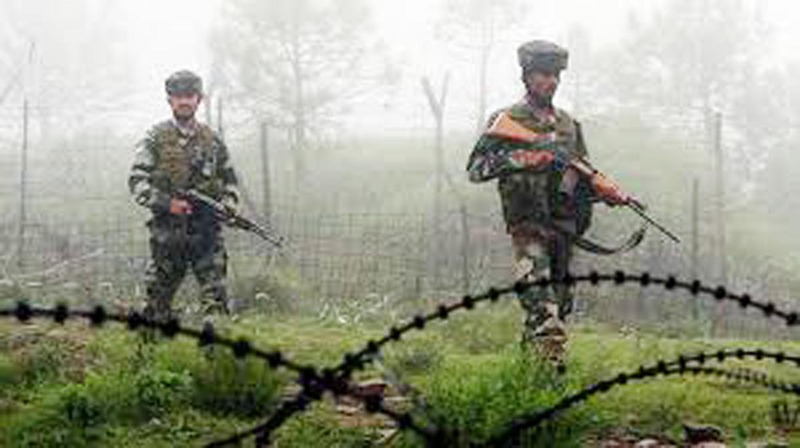 Security forces including 14 RR of Army and Jammu Kashmir Police sealed all the entry and exit points to the Sumlar area.